Huge rooms! Family friendly apartment in quiet area on the beach. This bright spacious apartment is a great base for your holiday or conference. It sleeps 5 in 2 bedrooms and a has truly huge living area. The kitchen is equipped with everything you could need for family suppers and the 2 bathrooms one with a bath the other a shower room. Bedroom 1 is a fixed double, bedroom 2 can be double, twin or triple. Outside is a little sunspot to enjoy with table and chairs. Hi Jan and myself have been managing our own, family and friends apartments in Brighton for over 8 years. We give each apartment its own look and feel plus employ excellent laundry and cleaning staff to ensure that they are maintained to a high level. Third Avenue is a very grand avenue, just 2 minutes to the sea and 2 minutes to the excellent shops and restaurants in Hove. This is a very large 2 bedroom Victorian apartment. it has been tastefully done up to a high standard with lots of space, wonderful kitchen and luxurious bathrooms. Our stay was very good especially the weather. The apartment was lovely and the kitchen appliances were very good. My only complaint was the mattress on the double bed. The springs were sticking up I think it needed a good mattress topper or a new mattress. We always had plenty of hot water and heating was great so we were very pleased. My husband and I and our adult children were in the area for our daughter's graduation convocation for the University of Sussex. We came from Canada for the event. There were four of us in total. This apartment was perfect for what we needed. It is surprisingly bright and airy for a basement apartment. The layout of the apartment is wonderful and the kitchen very well equipped. The rooms are large and the beds comfortable. We had a few minor things that we contacted Julian about and he responded immediately. Thank you! Given the extreme heat that week, we were pleased to have such a nice place to call 'home'. We will recommend this property to friends and family who may be in the area in the future. Thanks Carolyn. It is a lovely apartment! unbelievable really...so much better than the pictures represent! 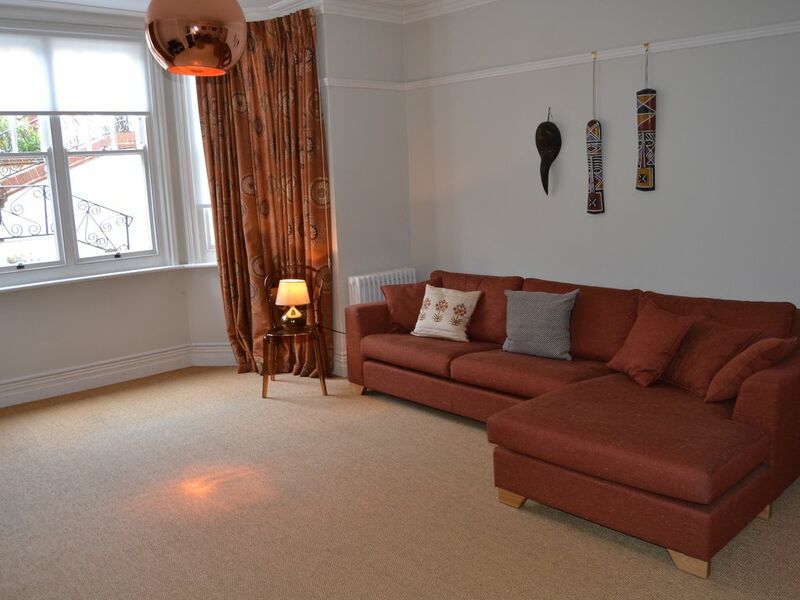 what a gorgeous flat and literally steps from the nicest beach in Hove. It is much larger than the pictures show...we had a question checking in and the host answered his phone and helped us in seconds! If you're looking for a clean, spacious, welcoming place in Hove/Brighton, you should book this flat without hesitation! It was a nice apartment and nothing was missing but it smelled of damp. The door to the terrace was stock so we could not sit outside.